The perfect first word game for preschoolers and early readers! My First BANANAGRAMS utilises lowercase letters and word-building combo-letter tiles to help nurture your child's love for wordplay and word games. 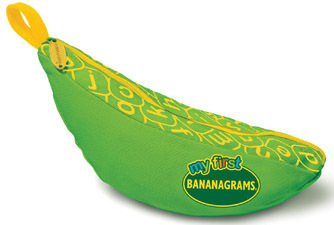 With multiple activities and mini games, they'll enjoy a play-progression towards our original BANANAGRAMS experience!